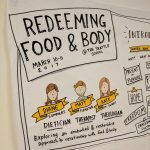 Earlier this month I had the opportunity to work as graphic recorder at the Redeeming Food and Body Conference. The Redeeming Food and Body conference is an event conference in Seattle, WA each spring hosted by The Seattle School of Theology and Psychology. 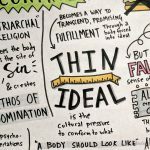 This conference brings in dynamic speakers from the fields of Psychology, Theology, and Biology and presents an integrated approach to food and bodies that honors the body, soul, and mind. I’m so thankful to the organizer of this event for their permission to republish some of the amazing content for my portfolio. As a masters candidate in both counseling psychology and theology, this conference has always been interesting to me, and I was able to sit in on a few of the sessions as a volunteer last year. 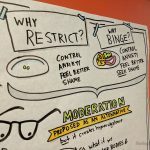 Familiarity with the presenters and concepts made this conference a great case study for one of my first extended large-format graphic facilitation. 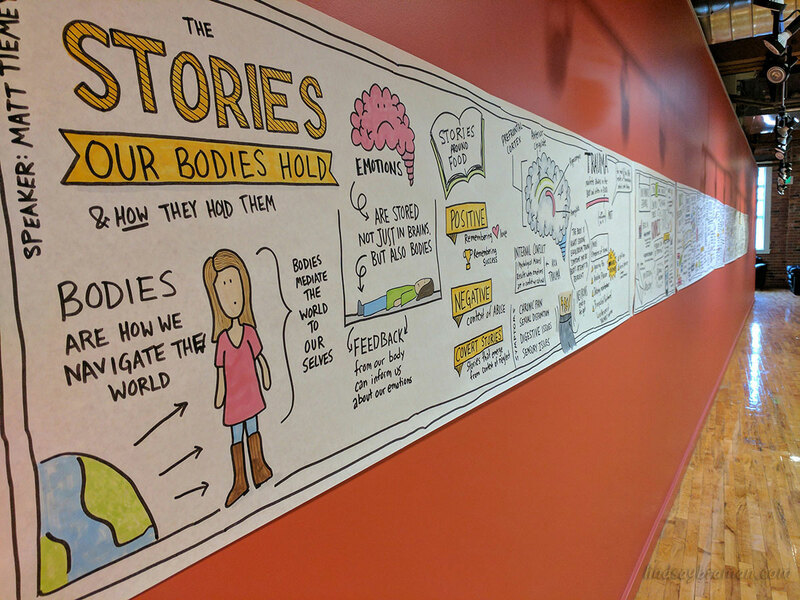 The experience graphic recording at this conference was familiar yet unique, it was exciting to be able to create such large records of the information presented and then to hang them in a visible spot and watch conference participants view and review the information presented. 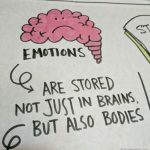 I believe one of the greatest tools graphic recording offers an event or teaching is the ability to, in a sense, time travel. Conferences are notorious for containing a deluge of information. Session after session of drinking-from-a-fire-hydrant learning can leave individuals successively enthralled by whatever layer of teaching was most recently presented. I enjoyed watching participants view my notes and sort of “travel back” in time, reviewing the key points of the teaching throughout the weekend. My visual not taking style and relevant icons help solidify this learning as conference attendees reviews. As always, my notes for this conference were taken live while the speaker was presenting. 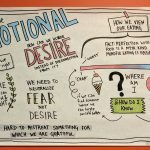 Working quietly on the back-half of a wall to the side of presenters, I created a graphic record of what was being presented in the moment. This method also helps conference participants solidify concepts or double check information without having to ask a neighbor or the speaker to repeat information. 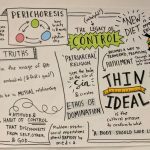 Below is a quick video of the graphic recording from the first session of Day 2 of this conference. In this video you can see that, on these notes, I don’t add much color during the creation because the session was very content heavy. 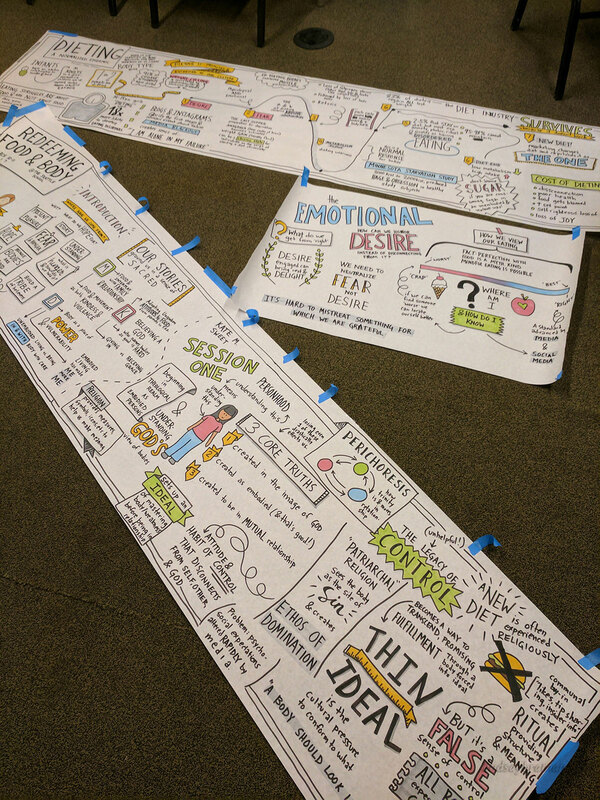 I prefer to have full-color notes finished by the end of the session, but this is very dependent on how content-heavy the teaching is (rather than teaching that includes a lot of storytelling or Q&A) and on whether the colors we’ve selected for the event are available in large-format markers. My marker case was, as always, super handy for transportation to this event. 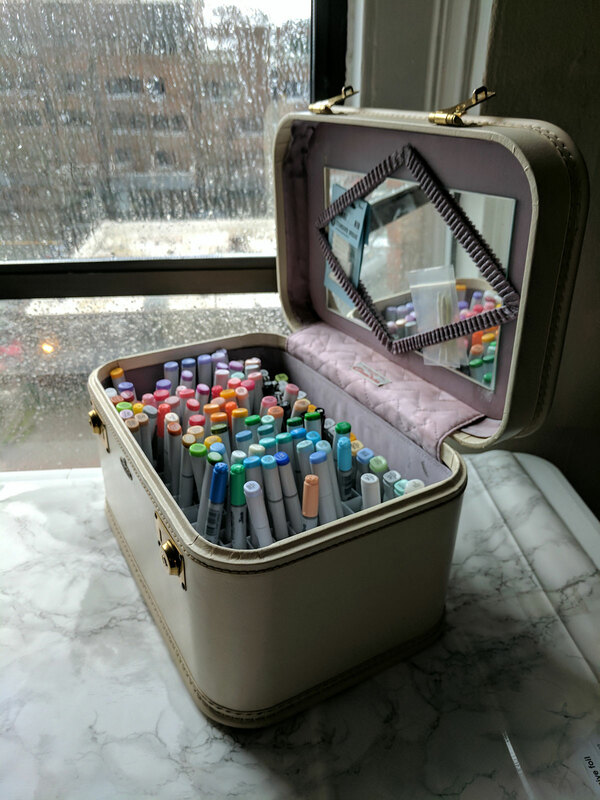 Check back this summer, as I plan to add a tutorial for converting a vintage train case like this into a marker case as shown.